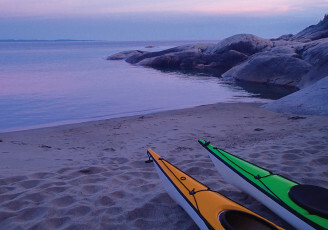 Lake Superior Adventures is your starting point for wilderness paddling adventures on the Canadian shore of the greatest of the Great Lakes. 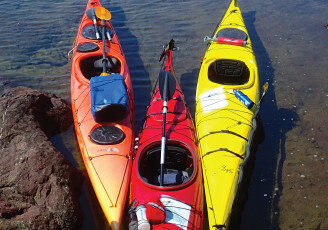 Produced by Naturally Superior Adventures for the do-it-yourself sea kayakers and canoeists, this site provides canoe and sea kayak route information, and material to help you plan for the logistics that go into a wilderness paddling trip—including boat and equipment rentals, and vehicle shuttles. We are Lake Superior experts, with over 20 years of experience outfitting and guiding trips in Northern Ontario from our base in Wawa. Contact us if you have any questions. 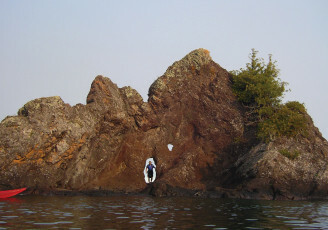 For information on guided sea kayak, canoe and voyageur canoe trips, please visit Naturally Superior Adventures. For accommodations on Lake Superior, retreats, workshops and weddings, check out Rock Island Lodge.